Next, we have another cool tattoo that represents the amount of brothers and sisters in your family and when each one was born. Each sibling has four dots, but one of the dots is a circle outline. The circle outline is when you were born so the first born has the outline on the first dot. It is a unique idea and a design like this will look great as an individual tattoo too. Do you and your sibling like to stand out from the crowd? Then this is the tattoo for you. 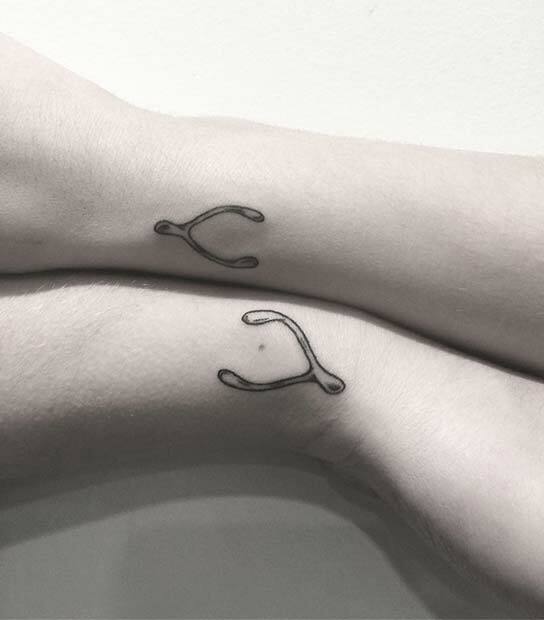 Here we have two matching wishbone tattoos. A wishbone design can represent family time when you get together to have roast dinners on special occasions like Christmas, or it can be a reminder that you both should follow your dreams. Whatever meaning you decide, this is an unusual and fun brother and sister tattoo idea. The next idea we have to show you is a half tattoo. A half tattoo is when two people have a half a design created. Then when the two are together, the tattoo is whole. This is perfect for brothers and sisters because they are great as one person, but complete when they are together. You can recreate something like this or choose a different design. 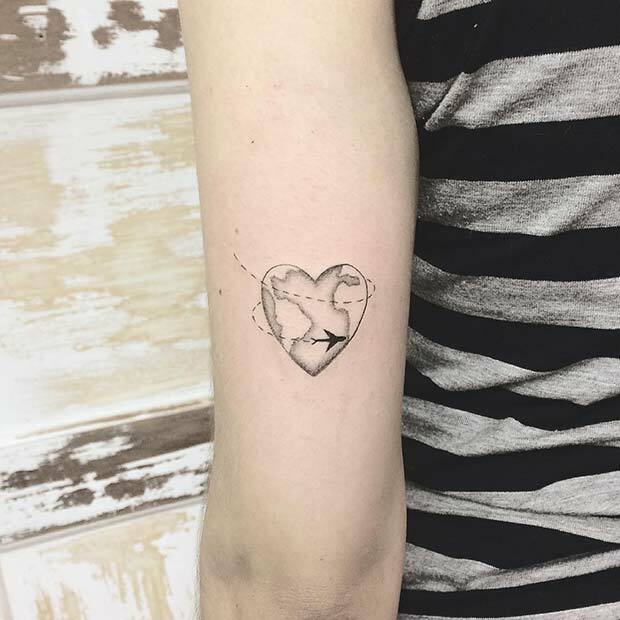 If you want a tattoo that is cute then check out this design. Here we have two cartoon characters of a brother and a sister. 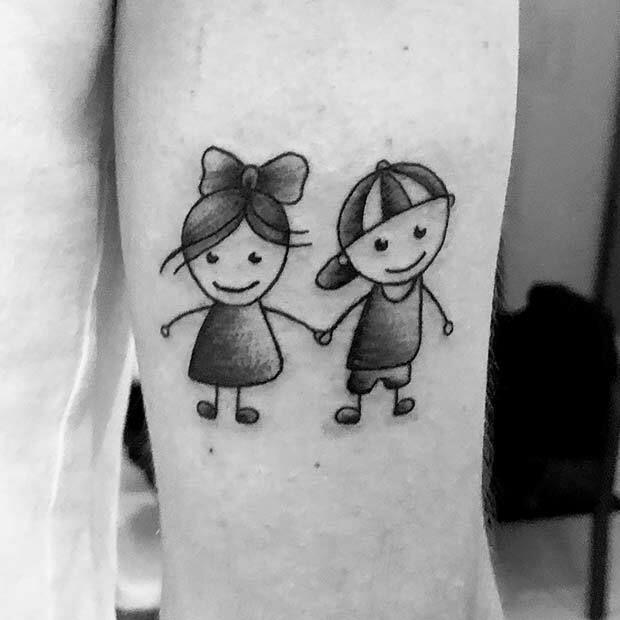 This is an adorable design and is perfect as a sibling tattoo. You can even have little characters created that look like you both. As a kid, when you made a pinky promise it was a serious and unbreakable contract. These promises were often made with friends and siblings. So, this tattoo is a fun flashback to those times. 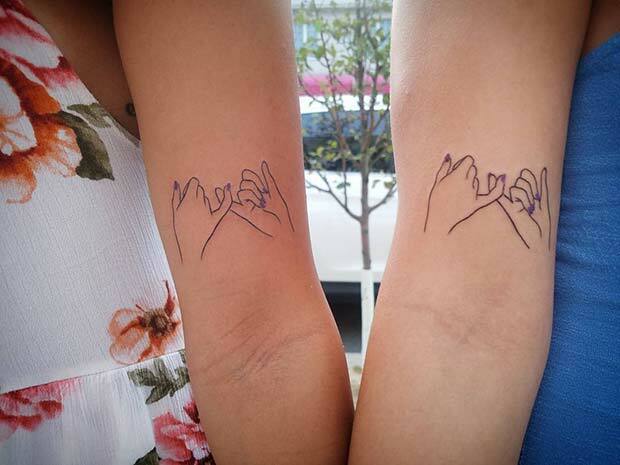 This idea features matching pinky promise designs. It is a cute idea that will suit everyone. You can create your hand with any design to so the nails and pink nail polish is optional. Our next tattoo idea has been created on one person, but we think it will look awesome on siblings too. 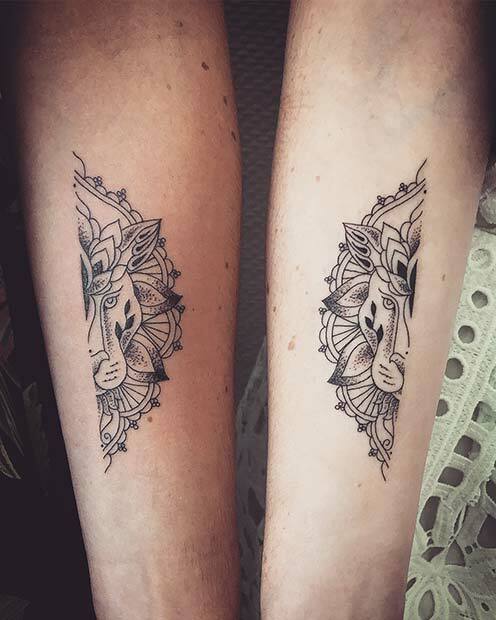 These two tattoos have a different natural design. One has mountains and trees and the other has waves. 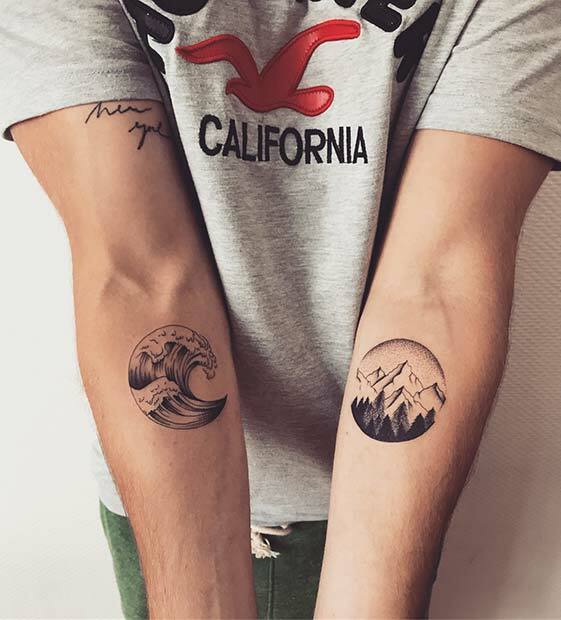 Each of you can have a tattoo like this and it can represent your favorite place that you go to together or can show how much you both love the outdoors. 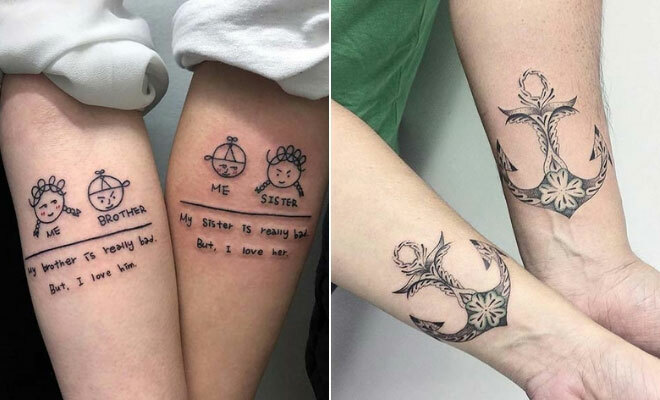 It is a great idea for the siblings that do not want an obvious brother and sister tattoo. Next, we have a cute tattoo to show you. These siblings have chosen a stick figure design. One is the brother and the other is the sister. It is an adorable tattoo idea that is subtle too. You can customize the stick people to have different hairstyles so they look like you both. Here we have another matching tattoo idea. 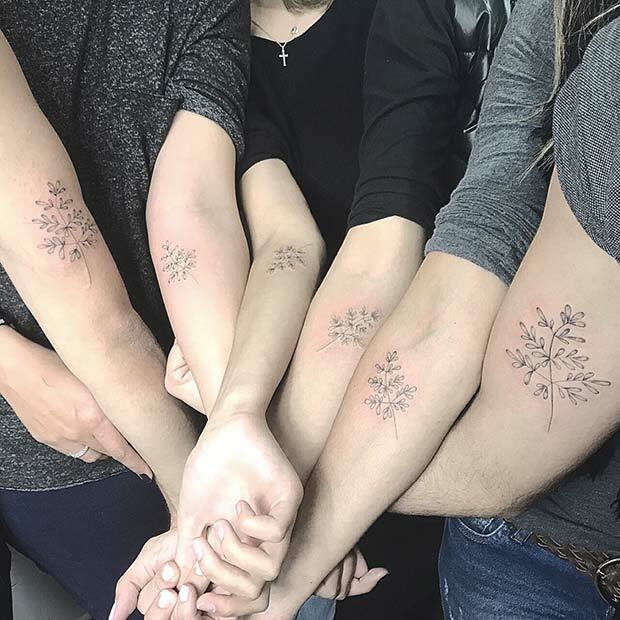 Each person has got the same design tattooed on their arm. 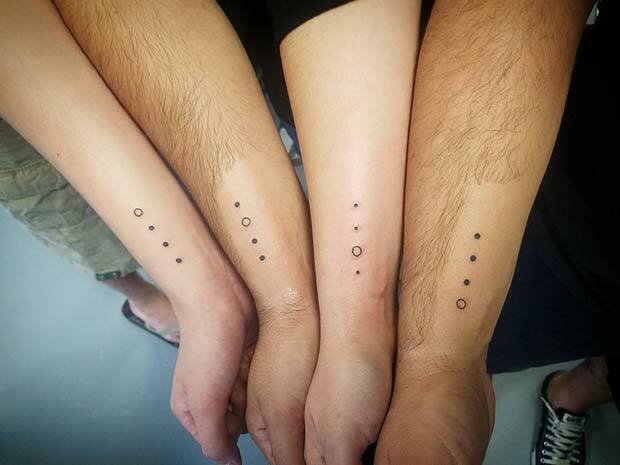 We love this idea because the tattoos match, but they will look great as individual tattoos too. You can recreate a stylish design like this or create your own that means something to you and your siblings. Love star signs? Then this tattoo design is for you. 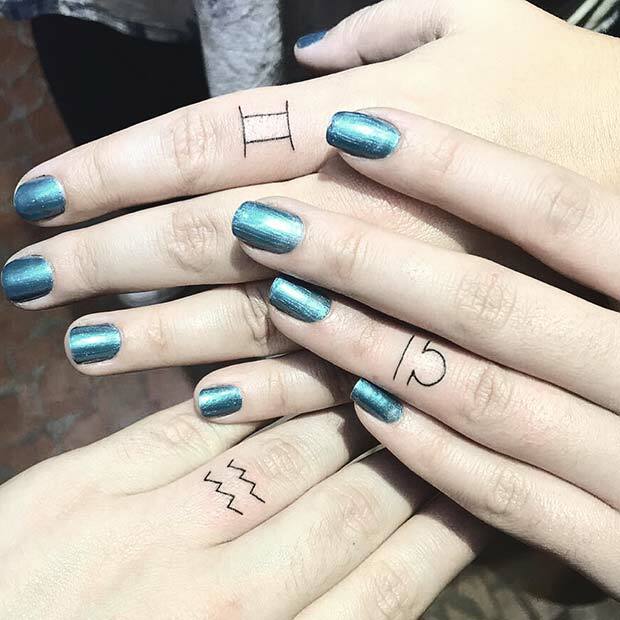 For this idea each person has had a star sign tattooed on their finger. You can have your siblings star sign tattooed or your own, so the tattoos will match just like these do. Have the symbol created or choose the actual constellation. Either way, it is a stylish and cool matching tattoo idea. Our next idea is another one for the travelers. This design features a map of the world with an airplane. A tattoo like this is perfect for the siblings who travel but want a reminder of home. You can create with or without the heart shape. The next tattoo idea is similar to the tattoo that we featured at the beginning, but the portraits are in frames instead of being an actual photo. 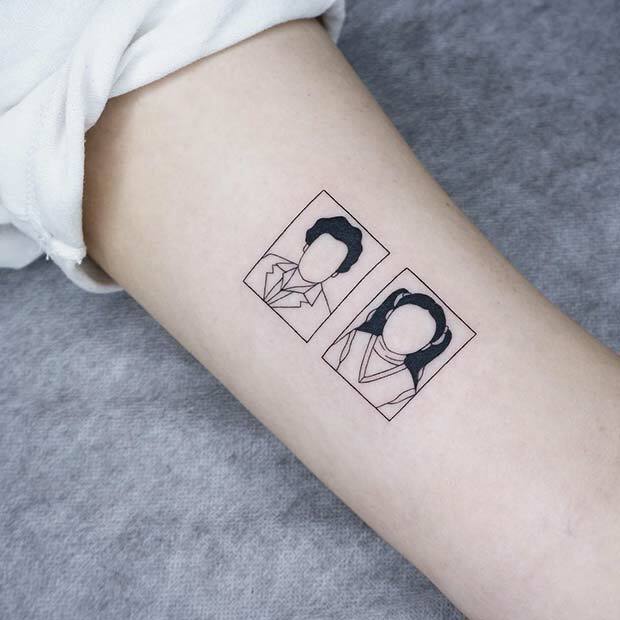 It is just another cool way you can have a portrait tattoo of you and your sibling. If you want, you can add other family members too. 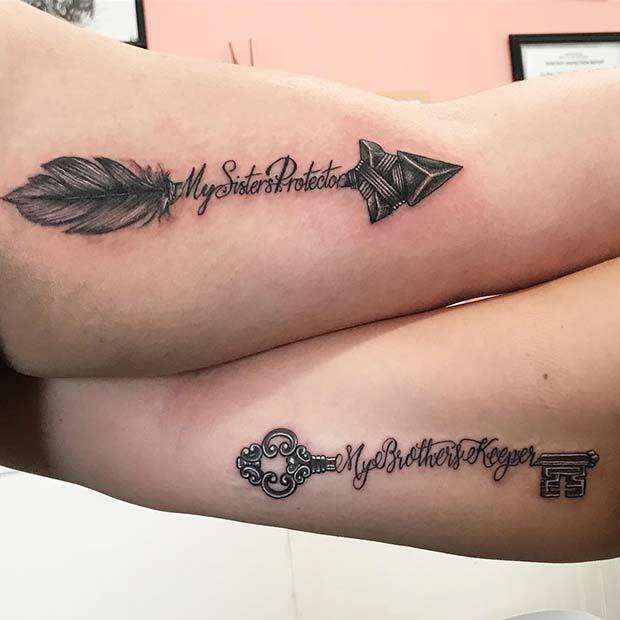 Our next pick is a perfect brother and sister tattoo! This tattoo says it all, no explanation needed! 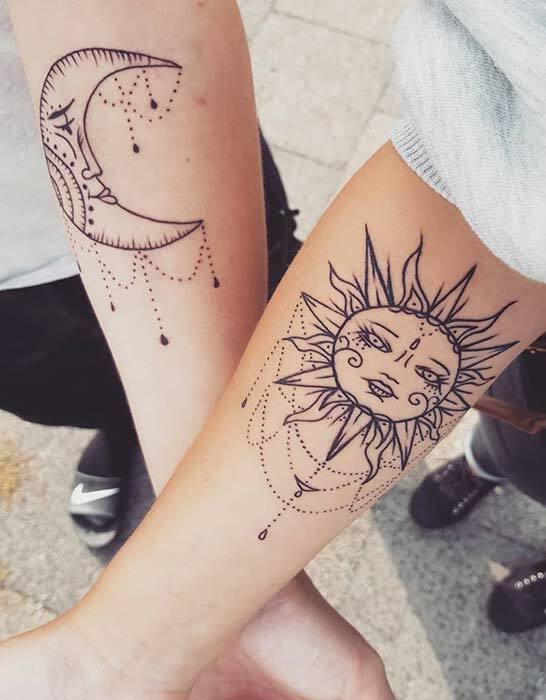 The last brother and sister tattoo idea we have to show you is this beautiful sun and moon design. A sister should get the sun design because it represents masculine energy, and the brother the moon design because it’s a symbol for feminine mystery. 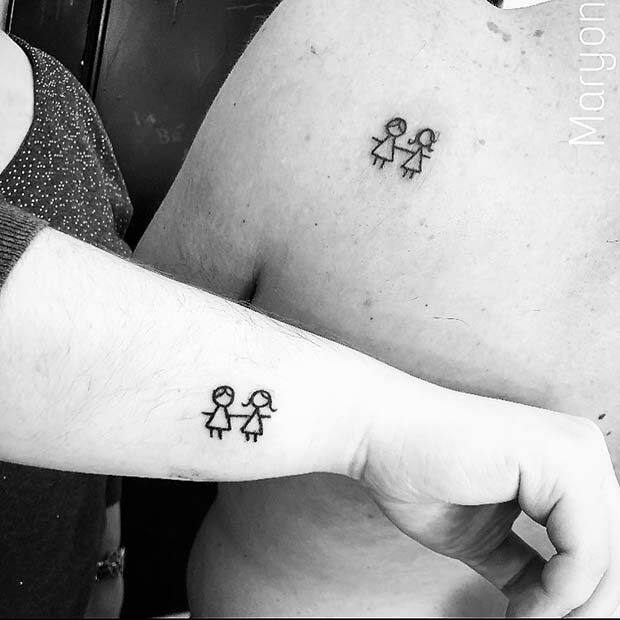 We hope you have found some cool brother and sister tattoos!